Precision-machined acrylic. Economical liquid or gas measurement. Seeking an affordable solution for non-corrosive and low-pressure applications? Now there's a clear choice: 2500 Series plastic variable area flow meters. 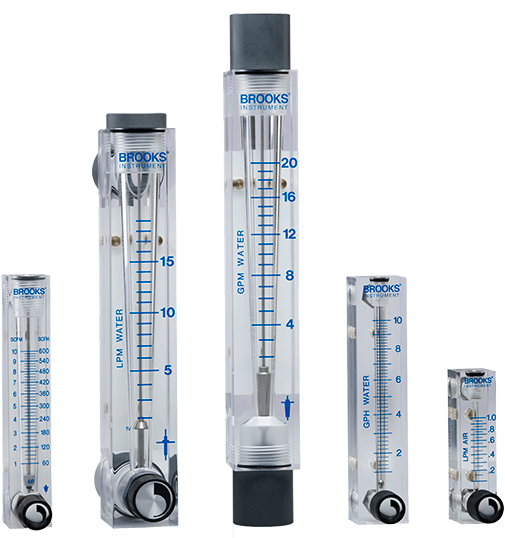 Constructed from precision-machined acrylic, 2500 Series flow meters use annealed, unibody construction that eliminates the leaks and panel detachment common with non-annealed, molded designs. An easy-to-read scale, rod-guided float and positive-stop valve ensure performance and safety. Choose from several valve, fitting, o-ring and float options to fit your specific project.